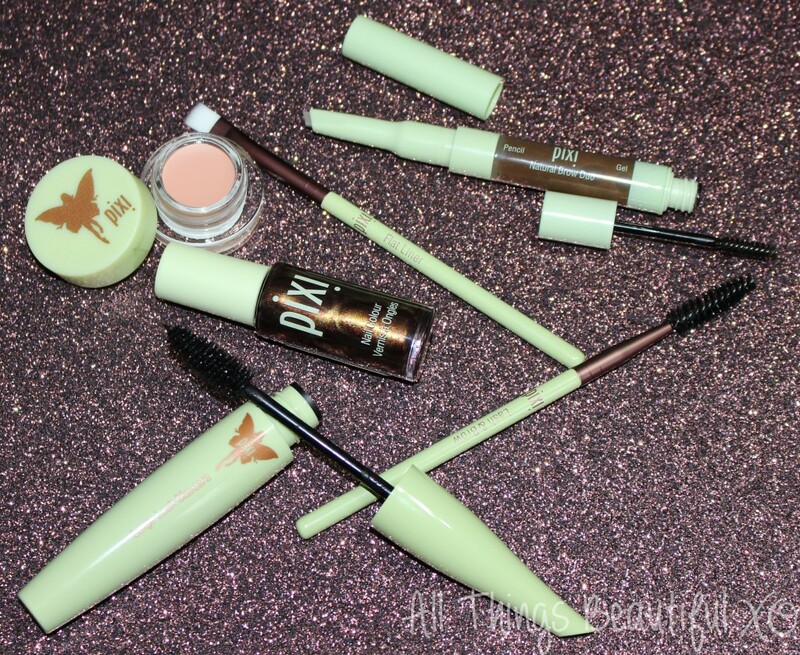 Getting Pretty with Pixi Beauty- Brows, Undereyes, & More! 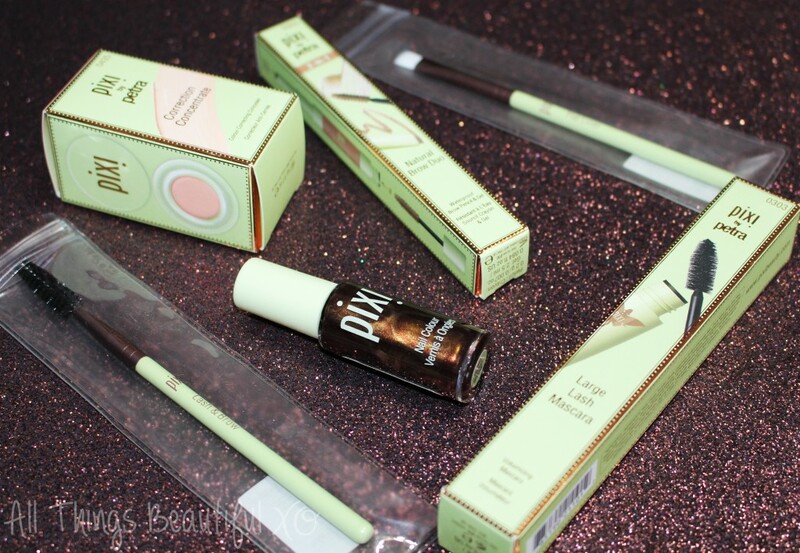 Pixi is one of those brands I recommend to everyone. You can pick it up at Target, it is affordable, & it tends to perform like something you’d buy at a high-end store. From the cute but functional packaging to innovative products most people can afford, Pixi tends to really impress me. Check out some new-to-me products from Pixi including the nail polish shade Gilded Garnet, Correction Concealer in Brightening Peach, & more! Here we have the Pixi Nail Colour in Gilded Garnet, Pixi Flat Liner Brush, Pixi Lash & Brow Brush, Pixi Correction Concealer in Brightening Peach, Pixi Large Lash Mascara, & the Pixi Natural Brow Duo in Natural Brown. The Pixi Large Lash Mascara in Bold Black has a larger brush & a great formula. It really helps volumize! I did get a bit of smudging but I have super allergy eyes right now so I think under normal conditions it would perform well. I am absolute loving the Pixi Nail Colour in Gilded Garnet which I have a photo of below! This is a deep maroon red loaded with fine gold shimmer. Looks quite luxe! For undereye discoloration we have the Pixi Correction Concealer in Brightening Peach– the perfect color correction shade for darkness! I have a little demo of this below as well. More on that below! Here is the Pixi Nail Colour in Gilded Garnet– it looks a bit different once on the nail! 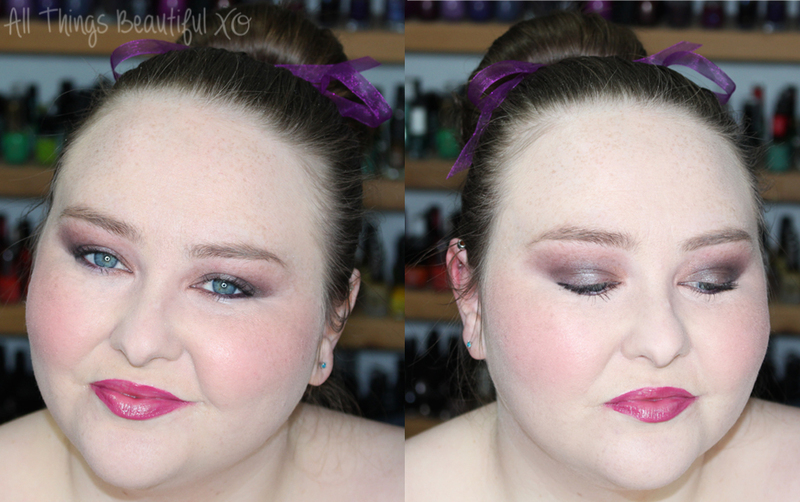 I found the formula really easy to work with- this is 2 easy coats! Kind of fiery right? I believe my midi ring is from Forever 21. 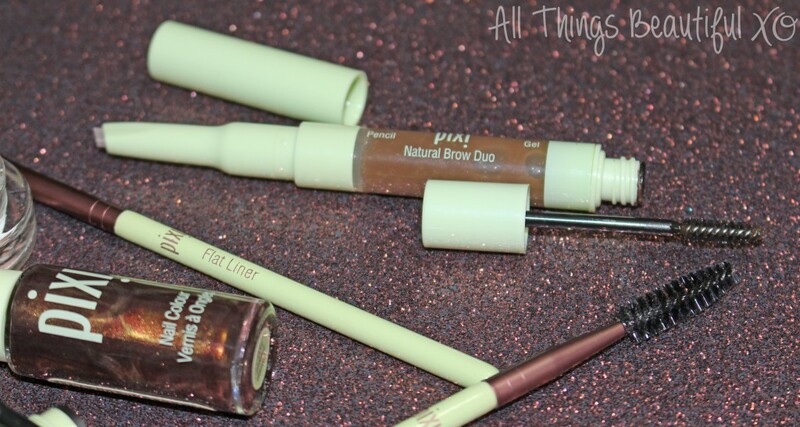 Next is one of my very favorite products- the Pixi Natural Brow Duo in Natural Brown! 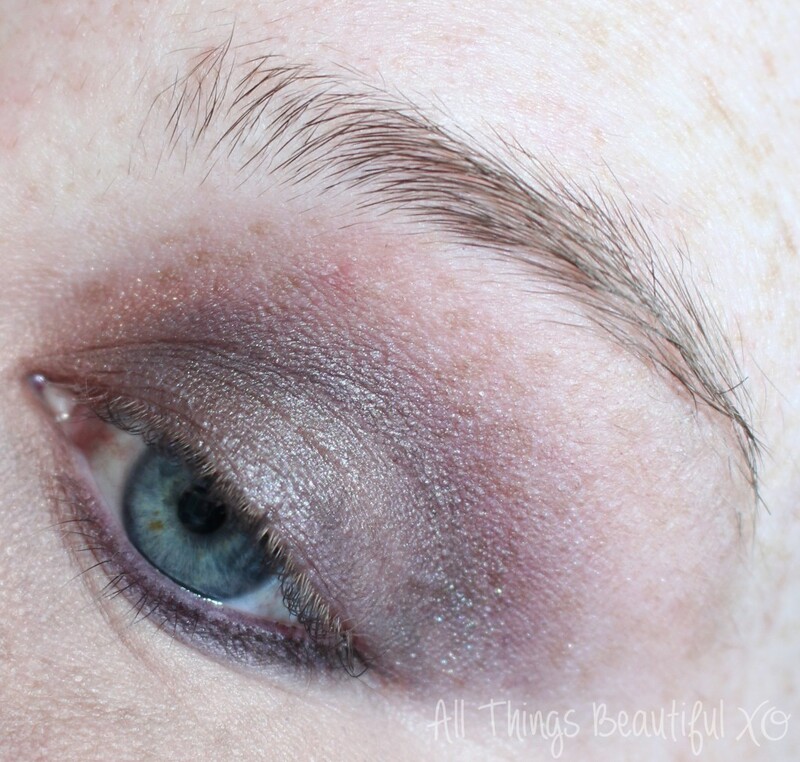 While I usually rock something lighter on my brows, I found this to be a good shade match with a light hand & absolutely love the 2-in-1 aspect! I ran the Pixi Lash & Brow Brush through my brows beforehand to get them going at least in the right direction & it worked nicely. The gel is so lightweight & it has the perfect brush- I didn’t even have to spoolie my brows after application! Here you can see 1) how sparse my brows are & 2) how well the Pixi Flat Liner Brush got up against my inner corner where I can’t quite get my finger to blend in the Pixi Correction Concealer in Brightening Peach. I found finger application was best to really warm up the product to blend in seamlessly. To really blend it in & applied this prior to foundation so I took my foundation over it a bit to really make it look like the perfect shade match since I’m so fair. This is pre-mascara by the way! Here you can see me with my brows on after using the Pixi Natural Brow Duo in Natural Brown. I think they look pretty natural since I have big gaps & sparse areas. I love this gel especially! The duo aspect is really handy! Overall I’m really happy with all of the products here! 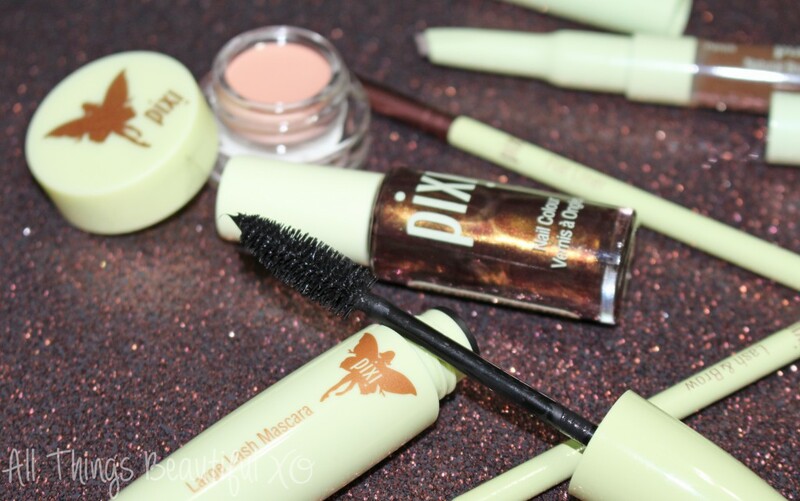 I’m especially liking the more natural & easy to build formula of the Pixi Large Lash Mascara, the convenience of the Pixi Natural Brow Duo in Natural Brown, & the beauty that is the Pixi Nail Colour in Gilded Garnet! I don’t have anything like it! Pixi products are available from the Pixi website & Target stores/online. What are your favorite Pixi products? Any brow duo products like this that you love? What products are you currently loving?